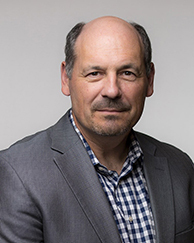 Keith Crandell is a Managing Director and Co-Founder of ARCH Venture Partners, L.P., a global seed and early stage venture capital firm focused on innovations in the life and physical sciences. ARCH Venture partners is investing its ninth fund and manages $3.2 billion. ARCH has lead, co-lead or co-founded more than two hundred companies based on leading university, corporate, national laboratory or entrepreneurial research since its start in 1986. Keith is a board member of the Chicago History Museum, the Clean Energy Trust, the Illinois Growth and Development Fund, the Morton Arboretum and the Polsky Council at the University of Chicago. He has served as a Director of the National Venture Capital Association. Keith also serves as an Advisory Board member for the Partners Innovation Fund, the venture capital fund of the Harvard University Affiliated Hospitals and an Advisory Council member for the University of Chicago Institute for Molecular Engineering. Keith holds an M.B.A. from The University of Chicago (Booth), an M.S. in Chemistry from the University of Texas at Arlington, and a B.S. in Chemistry and Mathematics from St. Lawrence University.